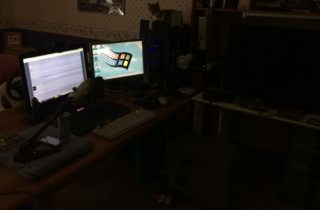 VOGONS • View topic - My finally working "Project 98" computer !!! My finally working "Project 98" computer !!! Here are the final specs of my Project 98 computer. It has some problems with few Windows 98 games which run extremely fast, such as Montezuma's Return and Captain Claw... I hope there's a workaround, but overall it works fine... Heretic II, Quake and some 3D DOS games are perfect. 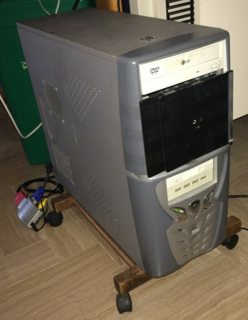 Re: My finally working "Project 98" computer !!! Congratulations! Remember that no Ensoniq based Sound Blaster PCI cards do support AWE32 for music in DOS games, try General MIDI instead. Socket 939 only support DDR SDRAM, so that's the kind of memory you have. I'll upload some pics as I get back home. 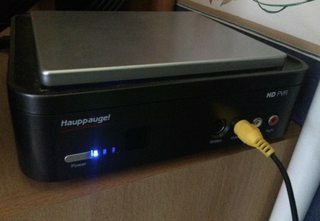 Since I don't have any midi box to get sound from the gameport, can I get midi out from the green speaker "emulating" it ? VDMSound is pretty much completely useless if you're not running Windows 2000/XP, in which case you're probably better off running DOSBox. Elia1995 wrote: I'll upload some pics as I get back home. The Sound Blaster PCI series does GM in pure DOS at least, loading an .ECW sound bank into the system RAM. I don't remember if it's working running DOS games inside Windows. Is this loading .ECW things something it does automatically or how do I do it ? The first thing to do is to check if you actually have the ECW sets. They should have been included with whatever drivers you installed. After that, I think you can specify a particular set in one of the control panels somewhere. (It should be fairly obvious.) MIDI will still probably sound pretty crappy even if you load the largest set, though. Elia1995 wrote: Is this loading .ECW things something it does automatically or how do I do it ? I don't have anything Creative-related in my control panel. Elia1995 wrote: I don't have anything Creative-related in my control panel. 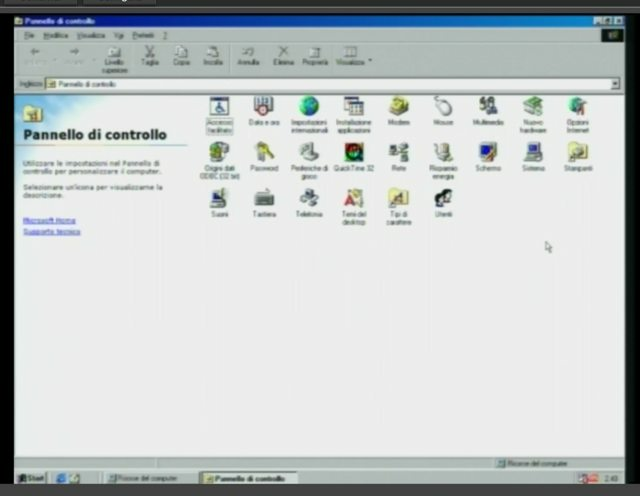 Google <load ecw in Windows>, and one of the first hits is http://support.creative.com/kb/ShowArti ... x?sid=1930 . 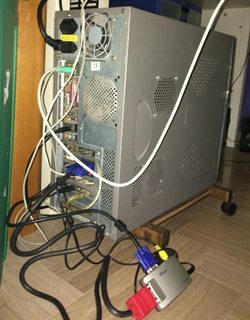 Here come the pictures of the "Project 98" computer at its current status, I'll try to give as many descriptions as possible to the pictures. There are only 2 cards in it (barely visible in the photo): the upper one is the X300SE graphics card and right beneath it there's my Creative Sound Blaster PCI128 CT4750. 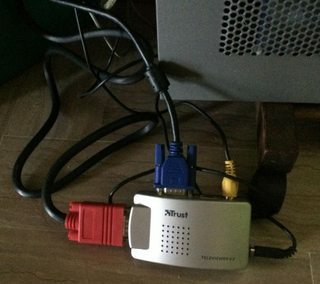 The USB thing isn't an actual card, but it's a thing that goes in one of the cards slots and connects to the USB pins in the motherboard, from there I connected an USB cable that enabled the 4 USB ports in the front of the PC and the power supply for my "VGA to RCA converter" (a Trust Televiewer v2) for my capture card (Hauppauge HD PVR). Last edited by Elia1995 on 2016-4-29 @ 14:43, edited 1 time in total. FYI, that's called an "I/O shield". ... or you can host the images here by uploading attachments, which can also embed thumbnails. Your mileage may vary but for me this is easier and kinder than hiding huge photos behind spoiler tags. Yeah, but you took a screenshot of a Windows Explorer window. So for that case, PrtScrn + MSPAINT and you're gold. Today this PC stopped detecting the hardrives. I don't have an IDE enclosure to test the hardrives in my main PC and my MSI Z97 Gaming motherboard is SATA only, but the hardrives are certainly fine. I even used the PC yesterday and it worked fine, today I just turned it on and didn't detect them without any modification... weird, isn't it ? What might've happened ? I've got 2 machines that will decide not today, and fail to find the HDD, even if nothing has changed. Sometimes changing settings in BIOS from Auto Detect to none and back again work, sometimes not and then next day it will be back working again as if nothing happened. Elia1995 wrote: Today this PC stopped detecting the hardrives. What PSU does your rig use? 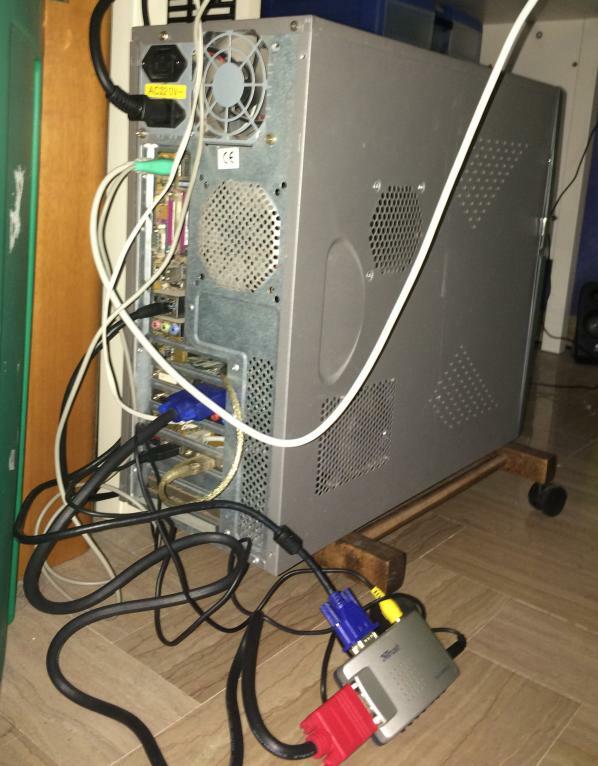 Looking at the pic of your rig taken from the back, the PSU looks typical for an El Cheapo brand. Do you have a spare PSU you could temporarily put in there? Your rig shouldn't use a lot of power with those components, so most PSUs should do.